Hoping to bring a decisive conclusion along the Western Front despite the mud-and misery-filled trench deadlock, German General von Falkenhayn launched an attack from which the French could not retreat, and would prove costly for them to defend. The goal of the German offensive was the historic and symbolic city of Verdun. The German attack used new weapons such as poison gas, fighter airplanes to clear the skies of enemy observation planes, and a massive collection of artillery to devastate the defenders and obliterate the extensive French fortifications. The offensive was meant to inflict staggering casualties upon the defenders that would compel the Entente to negotiate. In the end, the Germans also suffered losses that ran to the hundreds of thousands, making Verdun a symbol of war's inhumanity as well as tragic sacrifice. All of the above, plus a 44 turn Campaign Game! Don't miss this one. This Annual also includes Siege at An Loc, 1972 as a bonus game, and articles cover both. Also included are articles by Phil Jelley on the siege of Londonderry and a lavish survey of solitaire games by Paul Aceto. 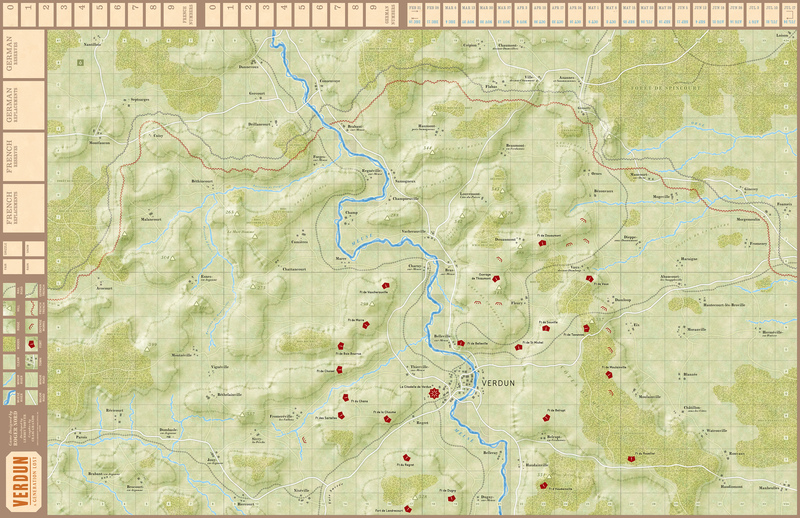 See the map to Verdun: A Generation Lost (very large). 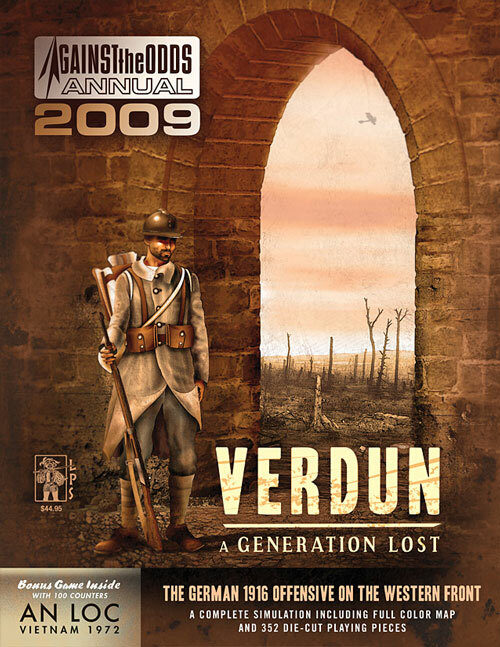 Download the rulebook for Verdun: A Generation Lost (in PDF format).